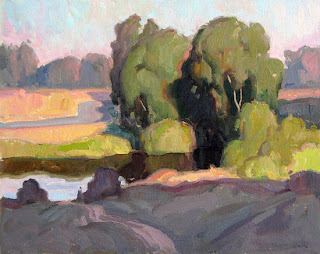 Lindgren & Smith: Eric Bowman Plein Air Winner! Eric Bowman Plein Air Winner! check out his illustration portfolio as well! I like them all, but I really like the little study of the woman ironing (there are two heads on the one page) that is really fantastic. The finish is too, by the way. Congratulations on the acceptances and the award. Couldn't you just photograph the scene and go back to the air-conditioning though, to paint? Ah! I was just in New Orleans a few weeks ago and it was amazing heat, I can't imagine painting in it.